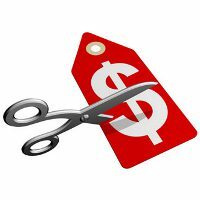 Initiating price cuts may appear easier than imitating price changes. In fact, customer response to price cuts is normally better than to price increases. On the other hand, price cuts reduce the profit margin for the company. But what situations may lead a firm to consider cutting its prices? One such circumstance is excess capacity, which requires initiating price changes. Another situation is falling demand in the face of strong price competition or a weakening economy. In such cases, several options exist for the firm to choose from: it may aggressively cut prices to boost sales and market share. But cutting prices is not always the best option: This way of initiating price changes can easily lead to price wars as competitors try to hold on to market share. The company may also cut prices in a drive to dominate the market through lower costs. Either the company starts with lower costs than its competitors, or it cuts prices in the hope of gaining market share that will further cut costs through larger volume. An example for this strategy of imitating price changes is the company Lenovo: it uses an aggressive low-cost, low-price strategy to increase its market share of the PC market in developing countries. Initiating price increases can be a greater challenge than initiating price cuts, since it often leads to displeased customers. However, a successful price increase can greatly improve profits. For instance, if the company’s profit margin is 3% of sales, a 1% price increase will boost profits by 33% if the sales volume is unaffected. A major factor in price increases is cost inflation. Rising costs squeeze profit margins and lead companies to pass cost increases on to customers. Another factor leading to price increases is over demand: when a company cannot supply all that its customers need, it may raise its prices, ration products to customers, or both. An example for this tactic of initiating price changes is the worldwide oil and gas industry. When raising prices, the firm must avoid being perceived as a price gouger. For instance, in the face of constantly rising petrol prices, angry customers often accuse the major oil companies of enriching themselves at the expense of consumers. And in fact, customers have long memories, meaning that they will eventually turn away from companies or even whole industries perceived as charging excessive prices. In the extreme, claims of price gouging may even lead to increased government regulation. In order to avoid these problems in initiating price changes, some techniques can be applied. One is to simply maintain a sense of fairness surrounding any price increase. Price increases should be supported by company communications telling customers why prices are being raised. If there is no tangible reason for them, customers will not feel willing to pay more. Also, wherever possible, the company should consider ways to meet higher costs or demand without raising prices. For instance, more cost-effective ways to produce or distribute the products could be the key to avoiding price increases. The company could shrink the product or substitute less-expensive ingredients instead of raising the price. Or it can unbundle its market offering, by removing features, packaging or services, and separately pricing elements that were formerly part of the offer. Of course, buyer reactions to price changes can be of quite diverse nature. They often depend on the way of initiating price changes. Customer reactions to price changes are not always straightforward: A price increase, which would normally lower sales, may have some positive meaning for buyers. For instance, what would you think if Rolex raised the price of a watch? It might be even more exclusive or better made. Similarly, a price cut in the case of Rolex would rather indicate reduced quality and a tarnished brand luxury image than that you get a better deal on an exclusive product. Most important to know is that a brand’s price and image are often very closely linked, which is why initiating price changes must be done carefully. Especially a drop in price can adversely affect how consumers view the brand.